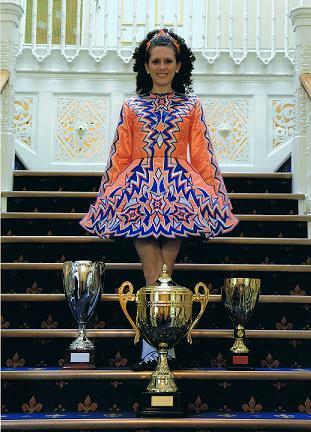 This is a beautiful Siopa Rince dress that is very sparkly and the zig-zag design is very eye catching on stage. Pictures do not do it justice. It includes kick pants and blue swarovski crystal tiara. Asking Price: Â£200 ono. Shipping costs not included. Returns are negotiable.